Arthur Edwin Covington was born in 1913 in Regina, Saskatchewan. In 1938, he received his bachelor’s degree from the University of British Columbia in Vancouver, and obtained his master’s degree from the same institution in 1940. That same year, he enrolled at the University of California in Berkeley where, two years later in 1942, he received his doctoral degree in nuclear physics. At that point, he moved to Ottawa, Ontario, and participated in the war effort by helping develop new radar systems at the National Research Council of Canada. After the war, Covington proposed a research project that would convert surplus radar equipment into instruments that could study cosmic radiation. His proposal was accepted in 1946 and he began constructing the first Canadian radio telescope. Once the equipment had been calibrated, he decided to measure the radiation emanating from the Sun, or more specifically, it’s “radio flux”: the variations in its energy output at radio wavelengths. He began collecting data in July of 1946 and quickly realized that the flux changed from day to day. Unable to determine whether these daily variations were related to problems with the instruments or to the presence of dark spots (“sunspots”) found on the Sun’s surface, he decided to use a partial solar eclipse on November 23, 1946, to his advantage: he would monitor any variations in the radio flux as sunspots became covered by the Moon. Much to his surprise, he determined that the dimmer regions of the Sun – those marked by sunspots – emit much stronger radiation than the more luminous unmarked areas. 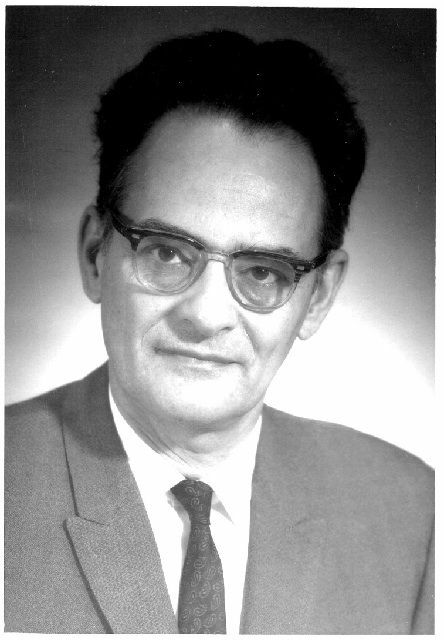 He thus provided the first direct evidence that sunspots are associated with radiation “hot spots”. Encouraged by this discovery, Covington began collecting daily data on the Sun’s radio flux in 1947, and succeeded in demonstrating that the number of sunspots is related to the Sun’s radiation flux. He collected data on a continuous basis from that point forward and his measurements were used around the world. In 1951, he constructed a device that would detect the radiation emitted by specific regions on the Sun’s surface. He thus managed to measure the brilliance of the Sun’s corona (the uppermost level of the Sun’s atmosphere) and the temperature of the regions above sunspots (about 1,500,000 °C). His work would greatly contribute to our understanding of the underlying mechanisms that create sunspots. Covington succeeded in demonstrating that the intensity of solar radiation is related to the magnetic activity of the Sun, which has crucial implications for numerous human activities, such as communications systems, power lines, climate predictions, agriculture, fishing, space exploration, manmade satellites, geophysics, etc. In 1959, the Algonquin Radio Observatory was established in Ontario and Covington became its director. He took his retirement in 1978 and died in 2001 in Kingston, Ontario, at 88 years old. One of the buildings at the Herzberg Institute of Astrophysics in Penticton was named in his honour in 2003.